There is a certain similarity between Henry Royce and the Packard brothers. James and William Packard were also electrical equipment manufacturers. They also bought a car which they thought could be immeasurably improved upon. In 1898 they called upon Mr.Winton, who had built their car, and made in the friendliest way, helpful and constructive suggestions. Winton was not impressed and told them if they could ‘build a better car, they could try’ Within a year, on the 19th November 1898, their first car under the name ‘Ohio’ was driven up to Mr.Wintons workshop. It was infinitely better than anything he had ever built. 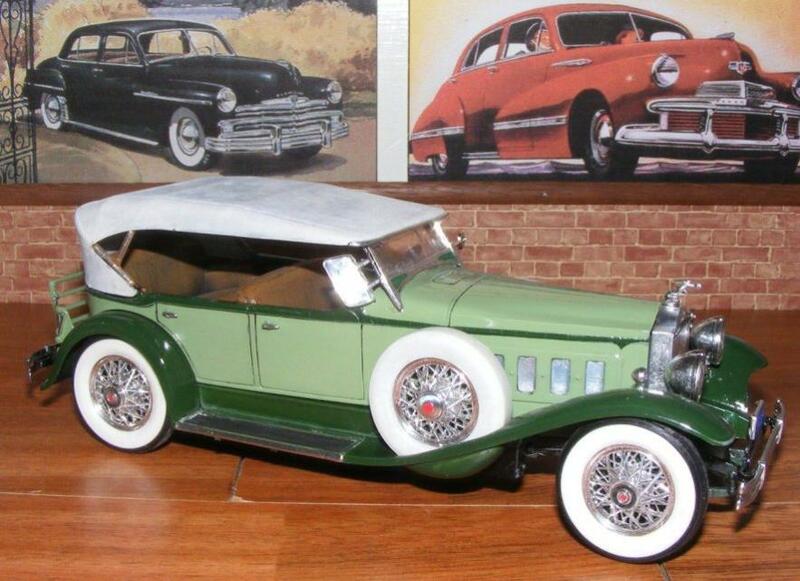 The name was changed to the Packard Motor Car Co in 1915 and Packard went on to be one of the greatest names in the American Automobile industry until they were sold down the river to the ailing Studebaker Company in the early 1960’s. 10 years of development in auto design sees the Packard as a lower, smaller sleeker car than the Isotta-Fraschini. These are both 1/43rd scale models. 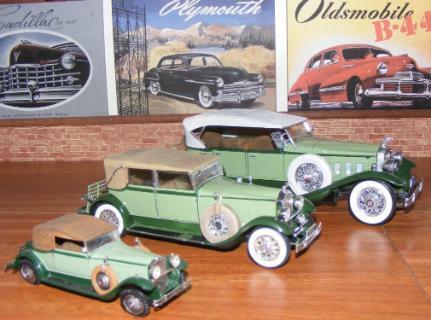 These three Packard Victoria models show the different body styles available while also demonstrating the differences in scale between 1/43rd, 1/32nd and 1/24th. The main subject is the 1/24th scale model finished, on 24.02.10. It was built from the box though it was of course built in our own manner to make the most of the kit using a variety of techniques. Most notable is the effect gained from dry brushing the convertible hood. 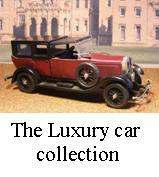 The cars have all been sprayed with Halfords acrylic car paints and detailed with Humbrol enamels. The seats have also been dry brushed and washed with inks to give them depth and reality. You can also see the effect that using ink in the recessed panel lines has, the doors are more “visible” and this helps the illusion of reality.